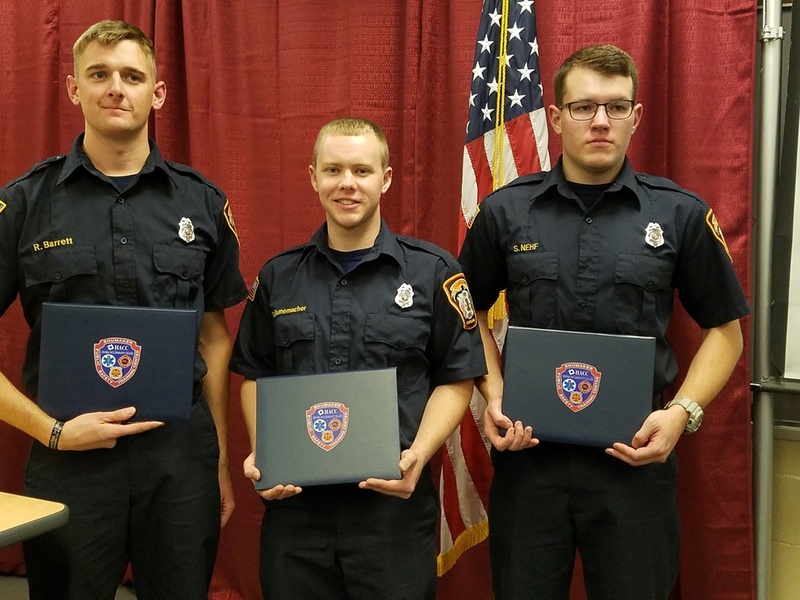 On Friday, November 17th, 2017, three members of the Chambersburg Fire Department received their badges as part of the Graduation Ceremony for the 58th HACC Fire Academy. 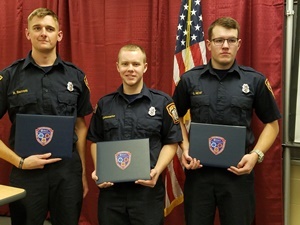 FF Robert Barrett, FF Sam Nehf, and FF Drew Nunemacher were pinned with their Chambersburg Fire Department badges. 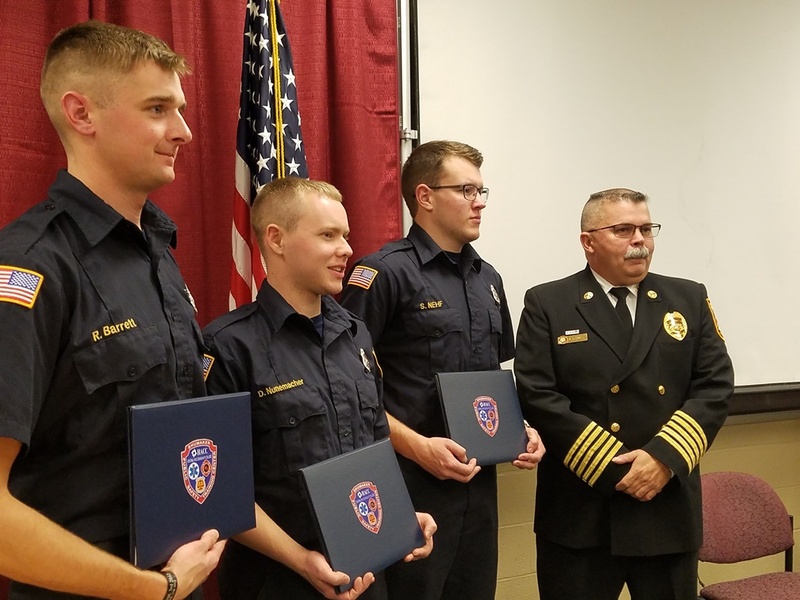 Family and friends were in attendance at the Senator John J. Shumaker Public Safety Center for the celebration of the successful completion of the rigorous eight-week course of instruction. Drew returned to “A” shift, Sam to “B” shift, and Robert to “C” shift. Congratulations to all three members on their success and thanks for representing the CFD so well throughout training.